The roots of the American Thoracic Society reach back to 1905, when a small group of physicians decided that the best way to improve care for tuberculosis patients was to share their experiences and discoveries. Today, the ATS has grown into an international society with more than 16,000 members. 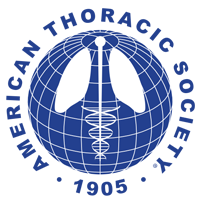 In this introductory section, you will find information about the people and programs that make the ATS the world's leading medical association dedicated to advancing our clinical and scientific understanding of pulmonary diseases, critical illnesses and sleep-related breathing disorders.